I really like the bag this month. It is simple, but cute! One side is white and the other is blue and it has a geometric square pattern embossed all over it. This is everything that was in my January Bag. I didn't try this one, to be honest. The color is just... I don't know. I don't wear blues often and I guess it is just something you have to be in the mood for. I'm still into my winter darks right now, so maybe when Spring rolls around I'll be feeling more colorful :) I do like getting polishes in my bag though. Even ones like this that I probably wouldn't buy myself. It pushes me to try new things! I really like mechanical eye liners and was excited to see this in my bag. I'm not familiar with this brand and I was excited to try it. 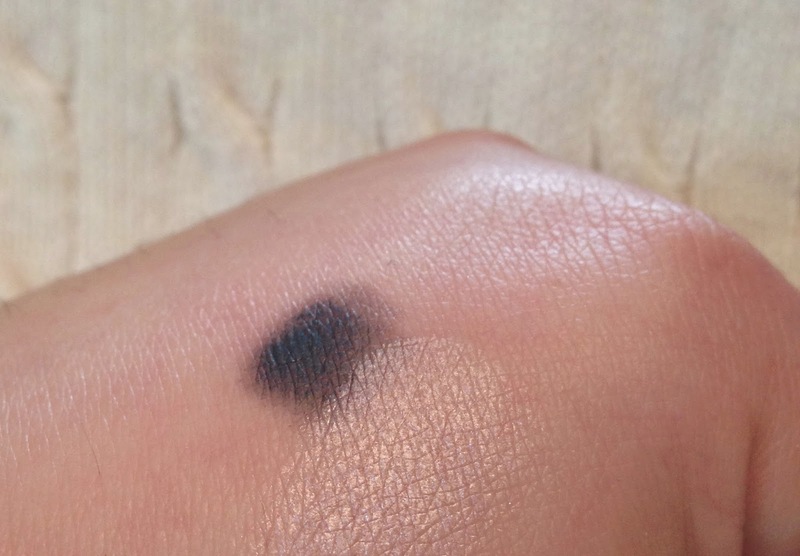 I wasn't too happy with this one though :( I had to apply a lot of pressure to get this swatch on my hand. Since I couldn't press so hard on my eye, it hardly showed up at all. 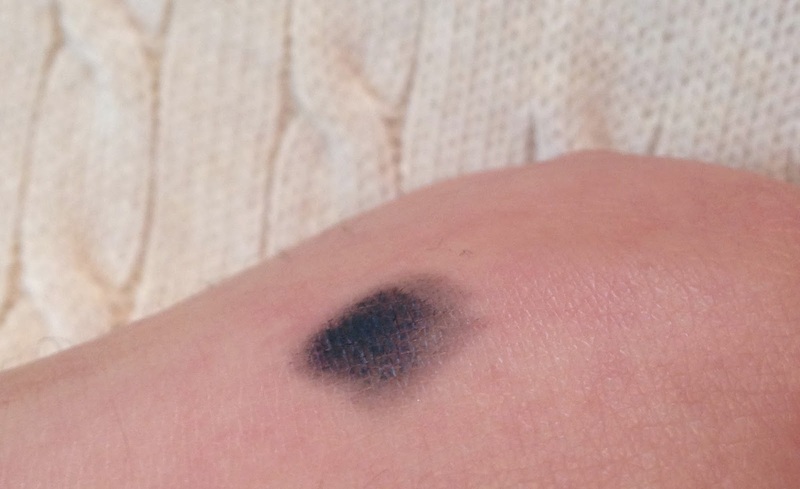 I looked very light grey and was quite uneven and patchy looking. Sadly, this one is getting tossed. I love this eyeshadow! 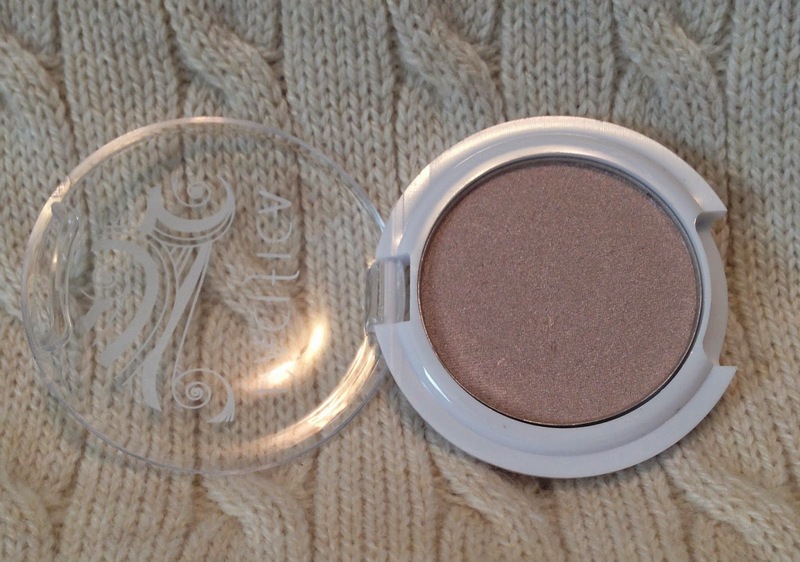 I love a light, shimmery neutral for a quick all over lid color on those busy mornings and this one is almost perfect! It does have a very slight pinkish hue that I don't love, but I have been wearing the heck out of this shadow since I got it. 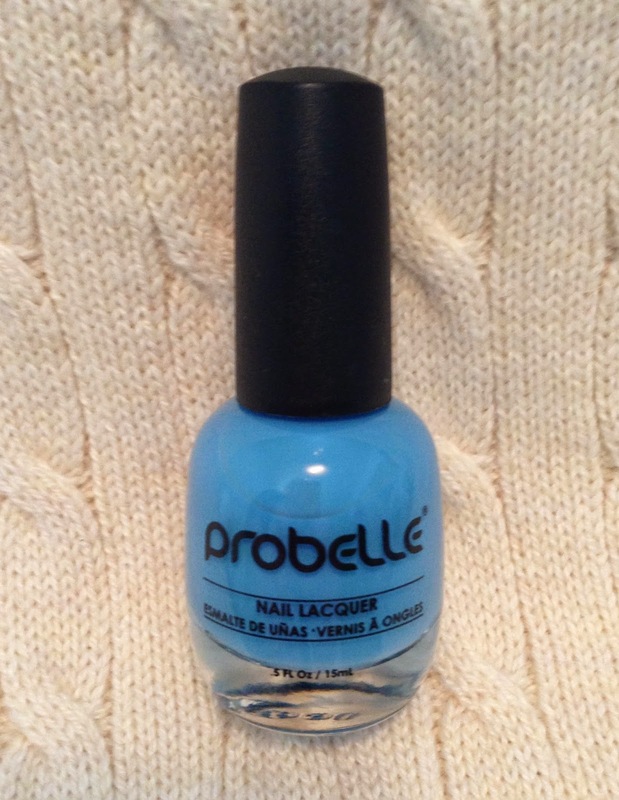 It is not only a lovely all over color, but it is a great highlight on the brow bone or inner eye corner. I loved it so much, I wanted to check out the other colors in the line, but I can't seem to find them! 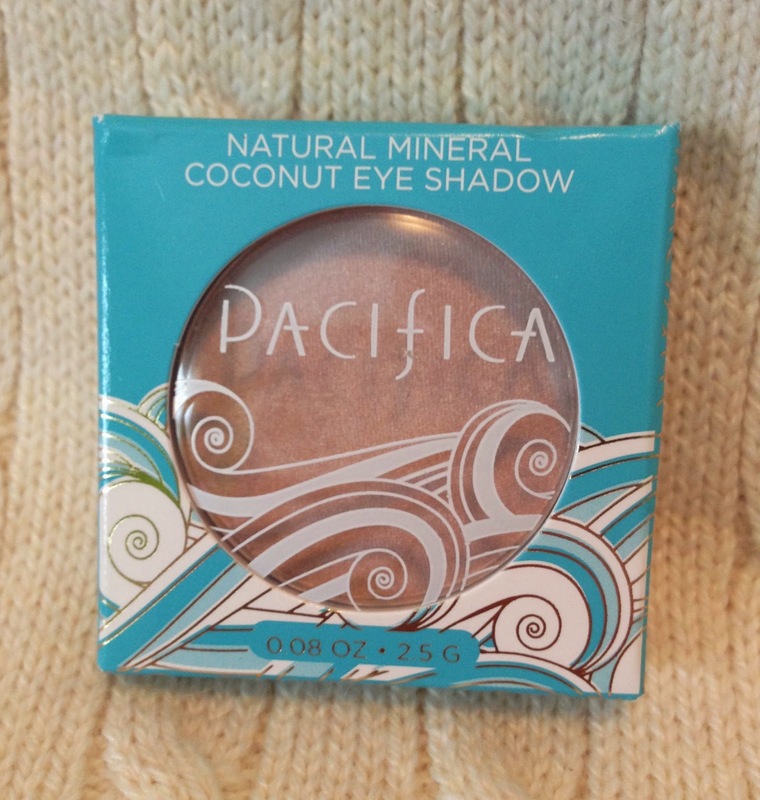 I found Pacifica's other eye shadows, but not this one or any with this formula. If you guys know anything about where to find them, let me know! 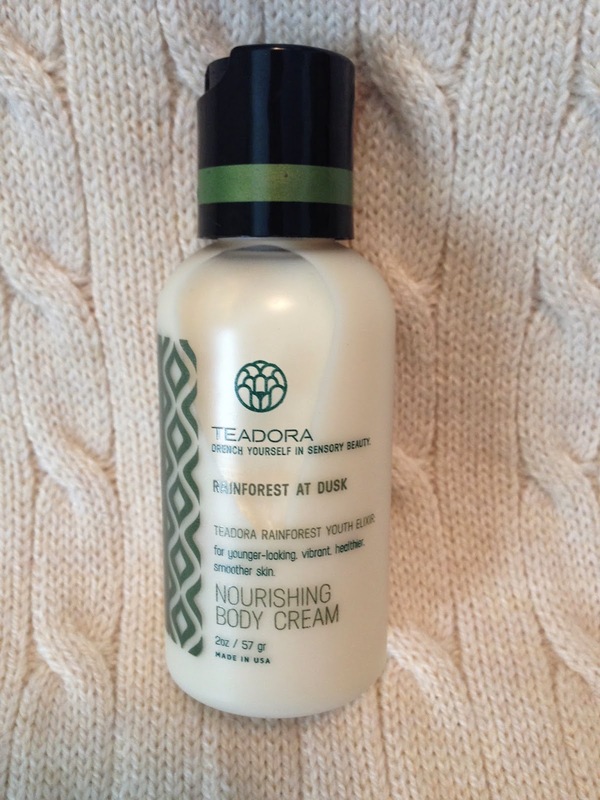 Love getting another natural product! I really loved the formula. It went on smooth and I really felt the oils melting into my lips. It did not feel waxy at all. I wasn't in love with the fragrance. 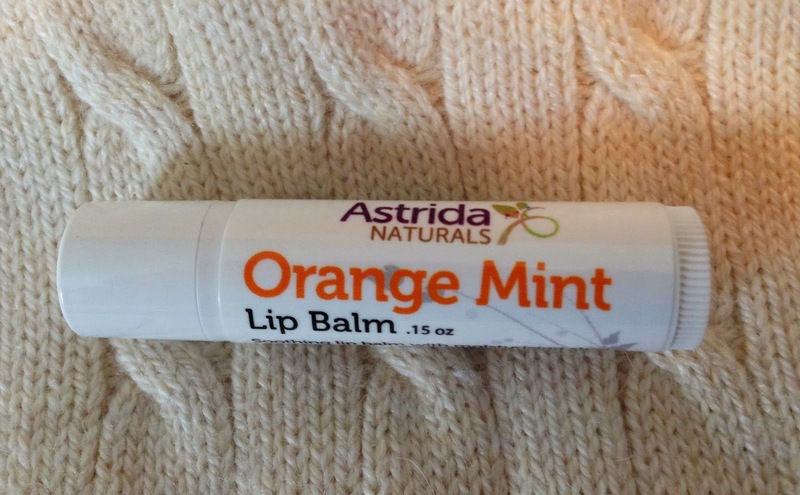 The mint is very strong with a hint of orange. I loved the formula so much though and I think I may have to order a different fragrance. The honey sounds to die for. Honey is my absolute favorite. They do also make a fragrance free option.